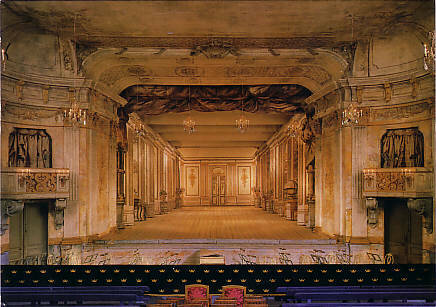 Built 1766 by Carl Fredrik Adelcrantz for Queen Lovisa Ulrika, replacing an earlier theatre (destroyed by a fire in 1762). 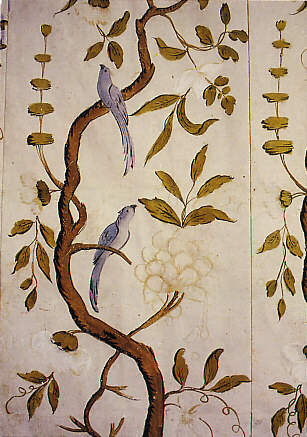 Interior decoration made from stucco, papier mâché, and painting. 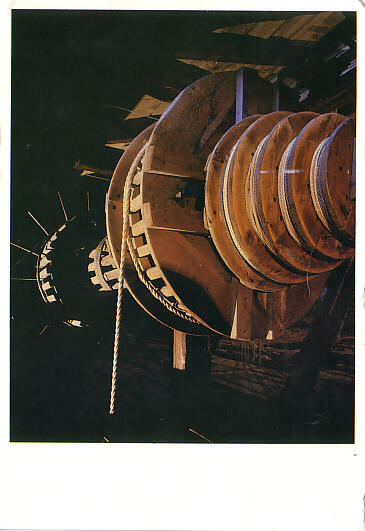 Stage machinery by Donato Stopani (still intact - including moving waves, trapdoors, cloud cars, lighting machinery and wind and thunder machinery). 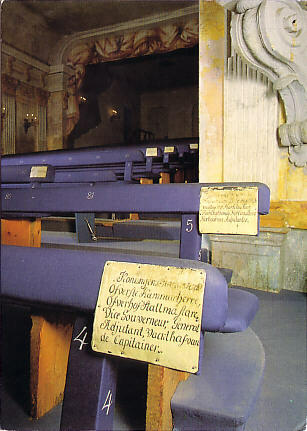 After Gustav III's death in 1792, the theatre was forgotten. "Rediscovered" in the 1920s by Agne Beijer. Subsequently restored, with electrifaction of the light system. 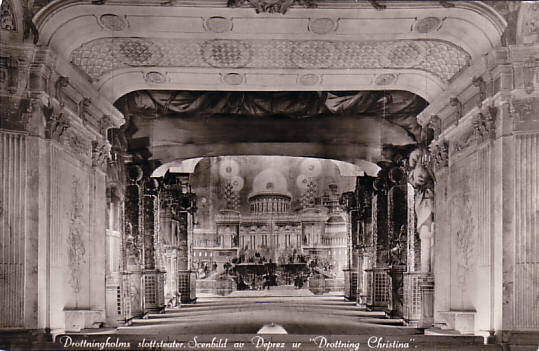 Re-opened 19 August 1922. 1991 inscription in the Unseco World Heritage list, together with Drottningholm palace, the Chinese Pavilion and the surrounding park. 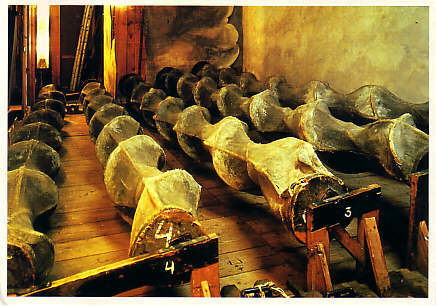 Used for opera and ballet performances, and for guest performances of the Kungl. 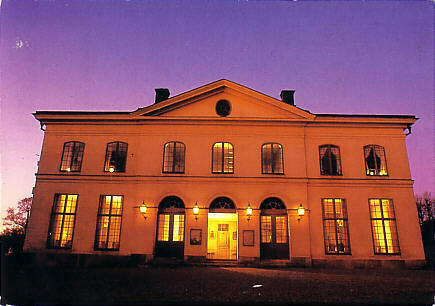 Operan Stockholm. 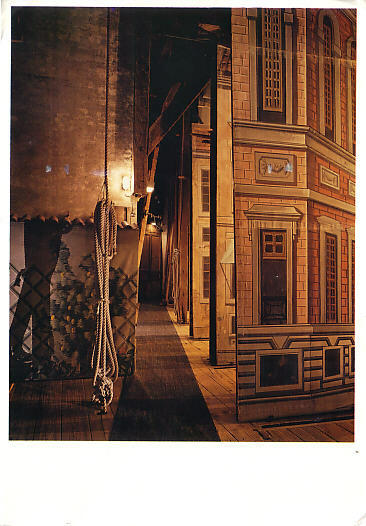 The theatre has a special reputation for reconstructing 18th century ballet and opera performances as authentically as possible. 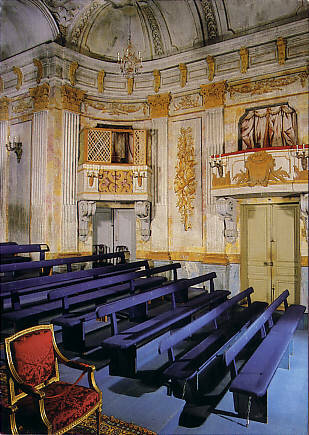 400 seats. 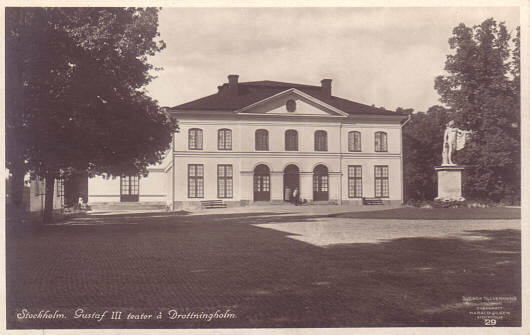 Reverse Text: "Stockholm, Gustaf III teater a Drottningholm"
Reverse Text: "Drottningholms Slottsteater, Scenbild av Deprez ur "Drottning Christina"
Text: "Drottningholms Teater 200 År"
Reverse Text: "Drottningholms Teatermuseum - Drottningholms Slottsteater"